On Tuesday's edition of Wrestling Observer Live, Jim Ross broke the news that New Japan's Wrestle Kingdom 11 will begin to air on AXS TV just one week after it happens, broken up into four weeks. Additionally, Ross announced that the weekly show has been renewed for 50+ episodes in 2017 and will move to 8 PM EST on Fridays. He will continue to work alongside Josh Barnett. 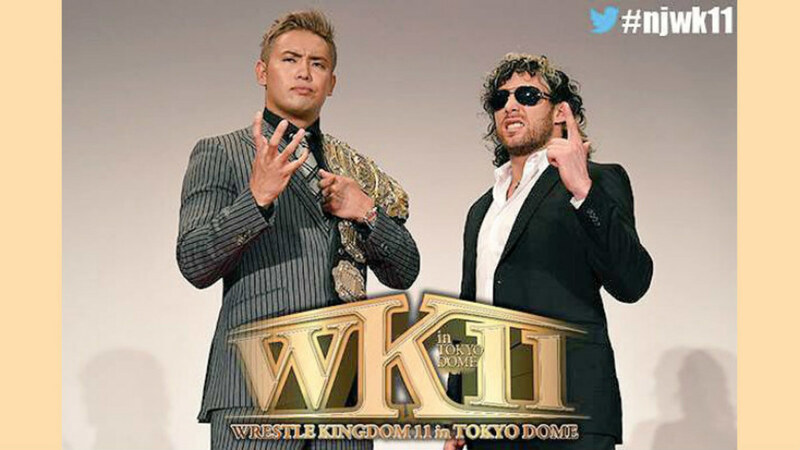 WK11 will begin on Friday, January 13th, with the IWGP Champion Kazuchika Okada vs. Kenny Omega match, and a week later, they will air Tanahashi vs. I-C Champion Naito. Broadcast matches for the subsequent two weeks have yet to be announced. Ross first announced NJPW action just over two years ago at Wrestle Kingdom 9 that aired live on PPV. He began working for AXS TV earlier this year as the lead voice on NJPW's weekly Friday show, taking over for the WWE-bound Mauro Ranallo.